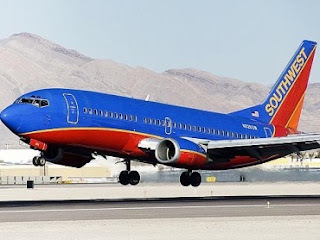 Earlier this month, Southwest Airlines kicked off a thin woman from a Las Vegas flight to make room for a fat teenager. The 110 lb. 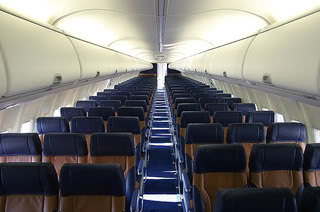 woman bought a full fare ticket--the last seat on the plane. She got on the plane, sat down in her seat and buckled up, ready to go. The fat teenager arrived late and boarded the plane. The flight attendant told the thin woman she would have to leave as they needed to make room for the overweight teenager. The 14 year old teenager was traveling alone and the parents had not purchased a second seat for her. The woman protested and said, "It didn't seem right that I should have to leave to accommodate someone who had only paid for one seat." She was told to get off the plane. She was booked on the next flight and given a free ticket by Southwest. If they would have asked me to leave that plane, I would have been pissed. I would not want to have been inconvenienced just because of a fat person. If the teenager had not been fat, this would have been a non-issue. Were the parents in complete denial about their fat teenager? Did they not know about Southwest's policy requiring passengers too fat to put their armrest down comfortably, to buy a second seat? As people are getting fatter and fatter, this problem is not going away. I can see airlines in the future, asking us our weight before we purchase a ticket.